Get involved with Full Gallop Eventing! Horse ownership syndication is when a group of people comes together to purchase shares in a promising horse for a professional event rider. These shares not only cover the actual cost to buy the horse, but the annual costs needed to maintain the horse. For example, if you are joining a horse ownership syndication which offers 10 shares, then you and 9 other people will own that event horse and help maintain the costs of your event horse on an annual basis. The good news is that all of these costs are usually predetermined, and syndications come in many affordable price ranges! Full Gallop Eventing currently has open syndicates for our promising young prospect, Gildegunde, ridden by Marc Grandia. "Gilde" is currently owned by Area VII riders and supporters who have full access to her training schedule, including daily at-home routines and her competition plans. There are still shares available for the Full Gallop Syndicate, LLC. Contact Full Gallop Eventing today to become a part of this talented horse's future. One of the biggest difficulties riders face is the ability to fund their dream. Most of this funding comes from individuals who reach out to support a rider and help them along their journey, whether that is owning a horse, being part of a syndicate, or making any size donation to a rider's program. There are tax benefits for choosing to help a horse and rider to achieve their goals. 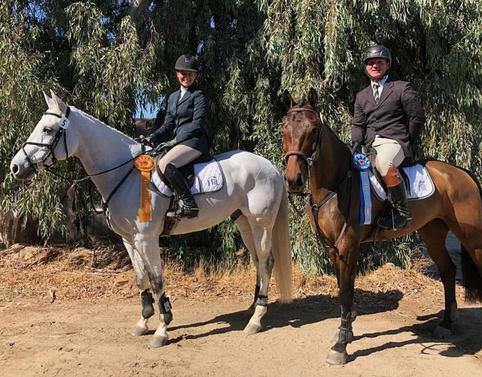 You can visit SOUTHERN CALIFORNIA EQUESTRIAN SPORTS online at www.scesports.org to learn more about this non-profit organization designed to help Olympic candidates raise tax deductible contributions. Or, you can make a 100% tax deductible donation today to Full Gallop Eventing.